General Huger sent to inspect ordnance. Sent to Coventry? Jackson gone into the enemy’s country. Joe Johnston and Wade Hampton to follow. Mrs. Fisher and Mrs. Izard have instituted a wayside hospital at the point where all the RRs meet. The Columbia Junction, in fact. I am ready and thankful to help every way, subscription or otherwise. But too feeble in health to attend in person. All honor to Mrs. Fisher. Mrs. Bartow’s adopted son has had the ball extracted from his arm. She is nursing him faithfully. The doctors fear a sinew has been cut, which may disable him – that is, that he may never regain the use of his hand. Mary Chestnut’s journal is a treasure-trove of information about Richmond society, circulating rumors, and her own opinions on current events during the war years. This particular excerpt is no exception. She reports military rumors, political issues, and civilian efforts in one day. 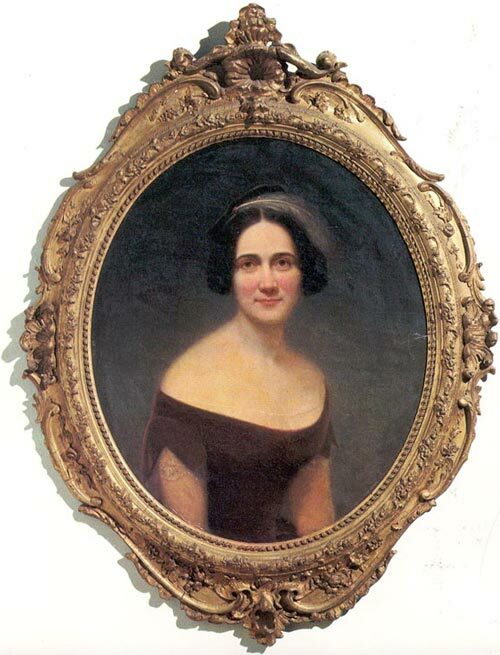 Military – Mary notes the movements (or anticipated movements) of four Confederate Generals. 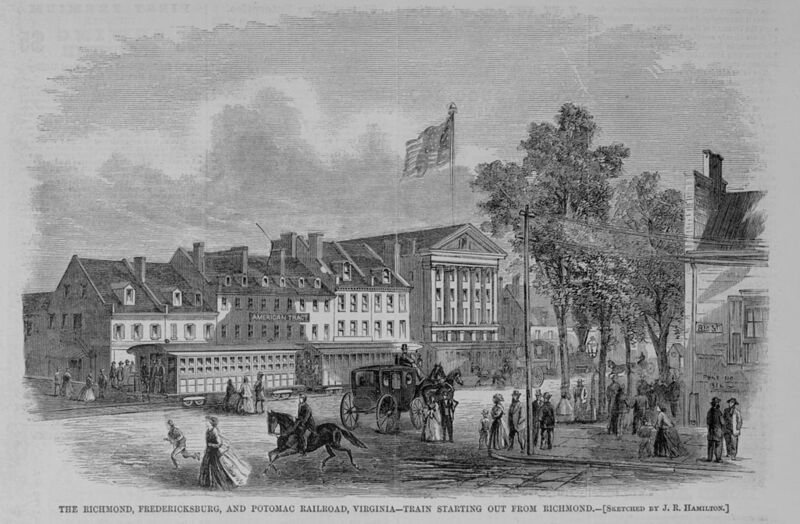 Jackson and others headed away from Richmond, preparing to block any invasion attempts by the new Union general. Political – Senator Rice was in the Federal Senate and a former acquaintance of the Chestnuts. Mary was particularly indignant about his comments implying that Confederate leaders were intoxicating their troops to get them to fight. That prompts a venture into her memory of classical literature. 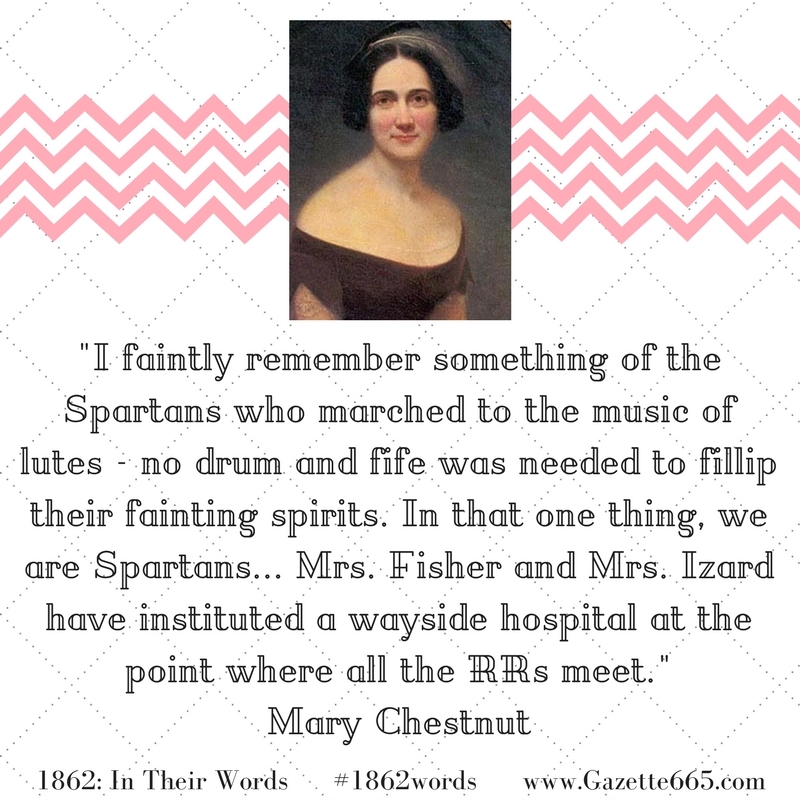 In her July 18th entry, Mary Chestnut noted the efforts of civilian ladies. Some had started a hospital near the railroad junction to give aid to injured soldiers as they arrived or departed for other locations. However, it wasn’t just in the semi-public setting that women were taking a role in medical care. Mary notes that another acquaintance was taking care of her wounded son. Injury and disability of their men-folk would force women into different roles during the war and after the conflict, changing some social norms and society rules. A train station in Richmond. One of the challenging and interesting things about Mary Chestnut’s journal entries are the number of acquaintances and friends she mentioned. Who were these other ladies? What else did they do – beyond what Mary recorded? Unless women wrote their own journals or were very detailed in their archived correspondence, it can be challenging to find the day-to-day details about their war experiences and actions. However, little pieces of lives can be pieced together from unlikely sources. Even the details about Mrs. Bartow caring for her adopted son might be a piece in the historical puzzle for medical care in Richmond or the Bartow Family history. Details and more details: they rabbit trail all over the place in history records. They often appear useless, but every once and a while – in a perfect, golden moment – that detail will slip into place for interpretation and explanation in the historical record. P.S. Do you have a favorite civilian journal from the Civil War?